Steem Fiction's first short story anthology is now available on Amazon.com! 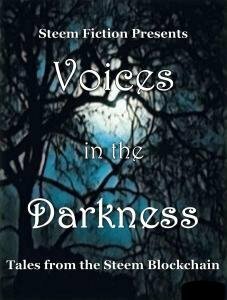 Voices in the Darkness: Tales from the Steem Blockchain (Steem Fiction Book 1)steemCreated with Sketch. Friends, Romans, Steemians... lend me your eyes. Steem Fiction has now released our first short story anthology. We set the release date for March 1st, and we successfully met that date. We are featuring some of the best authors on the Steem Blockchain. Every quarter we will release a new book on Amazon.com. Our next story is set for release on June 1st. Each book that we write will increase the number in parentheses by one. @ericvancewalton and @arbitrarykitten are on the team, but they were not involved with this first book. I have to say that our team did a great job. These stories are simply fantastic. This account will be used to promote and develop our authors and our books, and also to upvote those authors so that they may continue to put out quality work. By supporting this book you are not only supporting those authors, but also the Steem Blockchain. Here is a link to the Kindle version, which is priced at $4.99. Stay tuned for the theme to our next book, and for information on how to get involved with our project if you're interested. Please upvote and resteem this post so that word can get out about our new book. We will soon release the paperback version as well. I know you're going to enjoy our book. To all our authors I say....Great job! If you're interested in delegating to this project please contact @jeezzle on Discord or drop a link below. Absolutely. I really enjoy your story. I'm glad it's part of our compilation. Can I also recommend that you guys look into www.acx.com; It’s part of amazon where you can set up and create an audiobook version of your book. Excellent stuff, I hardly resteem anything but I will this! And I bought the mofo!! Fantastic. We appreciate your support! Tis a pleasure! I look forward to reading! We appreciate the support! Any feedback about the book? @jeezzle did a great job of herding this bunch of rookie authors introducing stories on time, then getting them edited and published. We can't thank him enough for this opportunity! Hehe, I have literally just opened my Kindle so have no idea on the content yet, although I am sure will be great. It looks fab. Well get tucked in to it tonight! He's a good man that jeezzle character! Nae bother!! As they say here! WOW. Simply congrats to all! P.S. I see quite a few PHC peeps here (@felt.buzz, @giantbear, @manoldonchev, @blueeyes8960). Haha. Congratulations everyone. This is a great start. I think that this platform is thriving in talent and I can see many anthologies in all genres. congrats on the book everyone. I'll be sure to pick up my copy of the book and read everyones stories. Resteemed to my 7600 followers! This is already a celebration moment :) Thank you @jeezzle and @steemfiction! Also huge thanks to the other authors and editor! Yes this is a great moment. Everyone did a fantastic job. steemconnect 10.0 SP delegation to @steemfiction. Wow!! This is really something! I agree! I'm very proud of our authors. How very cool. I love to see STEEM projects intersecting with the rest of the world. :-) I wish you the best of success! Yay! This is so cool. Congrats to all of you for collaborating and getting it published on Amazon. I'm definitely going to buy it. I gotta wait until I've got a little extra cash and some time to read (probably the first of the month). There's a paperback version coming shortly. And you can download the Kindle app on your computer, smartphone or tablet and read it on those devices, too. 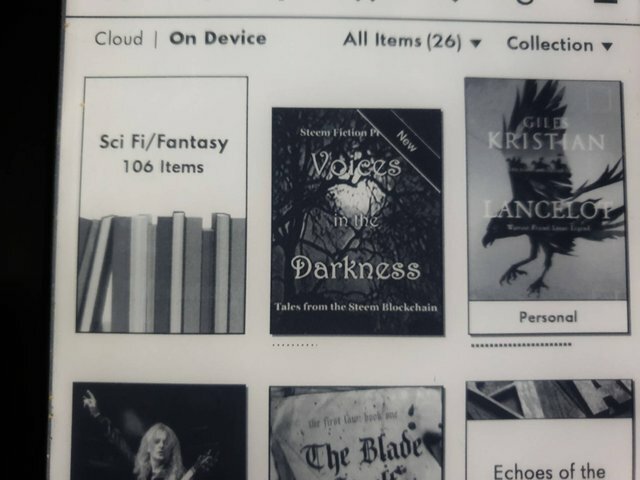 The Kindle app works great on the computer. I use it all the time. However, as Jane says, the paperback version is also on the way. @steemfiction, I really love what you do. This has been my dream for @Writeandearn which will be coming live soonest. I hope we can synergize and create more impact to the world beyond the blockchain. Well done, all. Proud of all you #PowerHouseCreatives on the team @felt.buzz, @manoldonchev, @giantbear, @blueeyes8960 - that I know - so sorry if you're a member and I missed you! Congratulations on the book release! Love seeing things coming from Steem!